A set for each child! 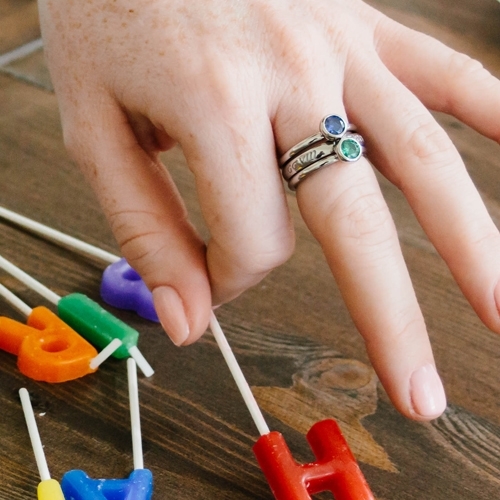 Carved Creations 3mm LifeNames Stacking Mother's Ring Sets are here! 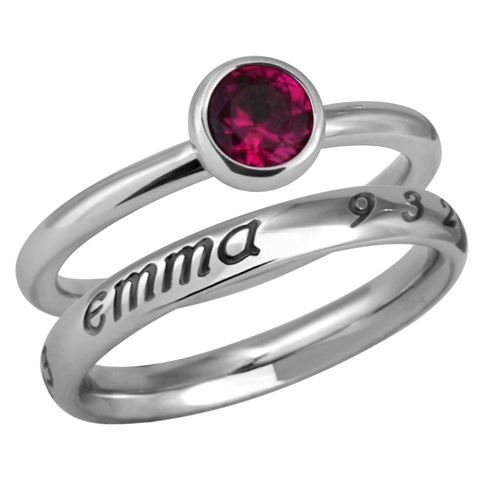 The first ring features your child's name and birthday, and the GemRing features their birthstone! 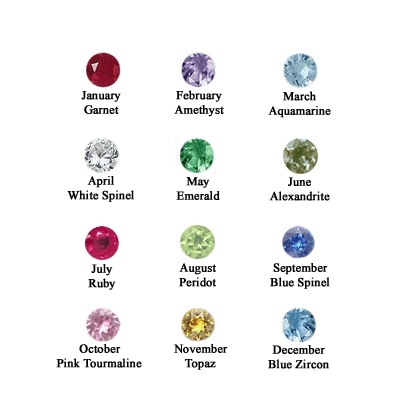 Click here to see all the birthstone GemRing colors! Note: GemRings Available for Size 5-10 only. 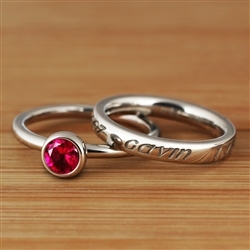 Boldly carved in PūrLuxium™ (our fine jeweler's-grade Stainless Steel) with our PūrLuxium™ Lifetime Warranty, the 3MM (1/8") LifeNames™ Ring features her child's name and birthday in deeply carved detail. The perfect gift for the special mother in your life! Note: If you need your finger sized, download our PDF Sizer. Your complete satisfaction and confidence is our mission. If you are not completely satisfied with your custom-made Carved Creation, you can return it within 30 days for a full refund. 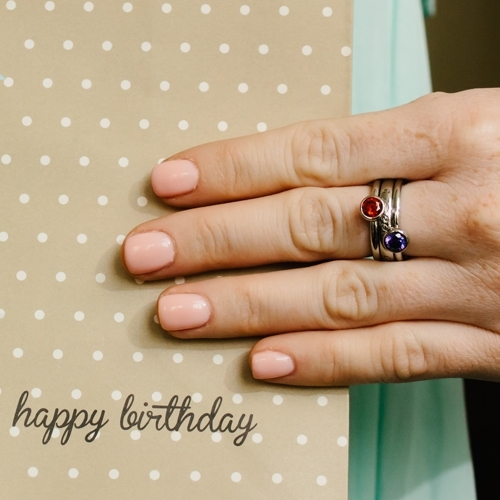 Additionally, within the first 30 days, we will even resize your ring for free. Yes, it's that easy! 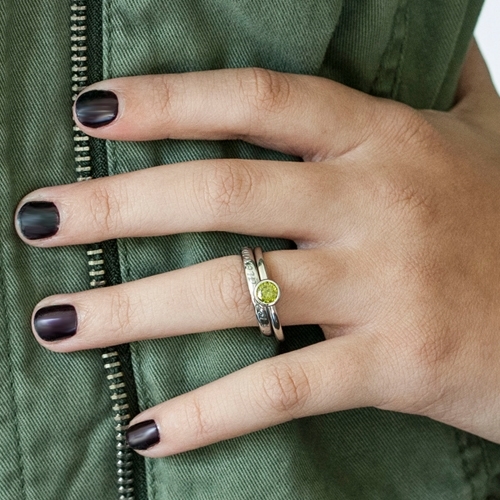 My wife loved the ring and she wears it everyday. Thank you for helping me with the Valentine's day win! I just received my stacking ring set from CC...and just like my other CC purchases, this was no different. In a word: PERFECT!! Everything I have from CC is the best quality. The customer service is exceptional. And the opportunity to honor my loved ones with jewelry I can wear all the time is important to me. Thank you for another fabulous experience!! Great service and products. Had to get a ring resized, fast easy simple process. Very quick and good quality. I've ordered 3 rings from c.c. and wouldn't hesitate to order more. I love the rings. Thank you. I'll wear them proudly. 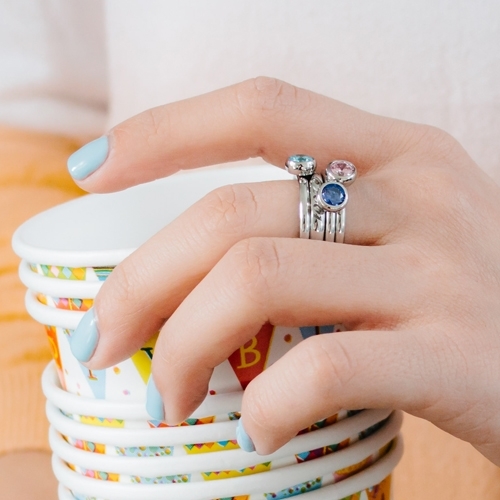 I am very happy with my stacking rings. I can wear them all together or separately. Pretty stones and nice engraving.